Paperback, 8.75 x 11.5 in. / 46 pgs / 71 color / 6 bw. 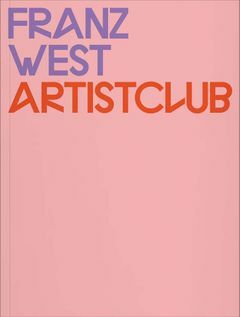 "West forces the observer, who is also always a potential actor, user and willing victim, to make gestures of humility." 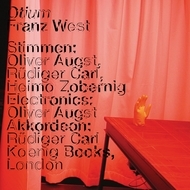 Vienna-based artist Franz West (1947–2012) often explored the way authorship is attributed to artworks through co-authorship and collaboration. This volume showcases his 2011 piece, “Extroversion,” in which 43 different works—by various artists—combined to upend West’s studio kitchen. 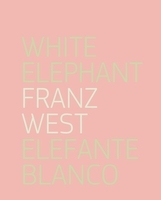 Franz West was not unlike Freud, and often referred to his ideas or quoted his writings. West dug deep into the Viennese soul, and found things hiding there that no one wanted brought to light. 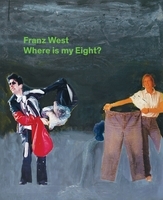 While Freud stayed in his doctor’s office collecting neuroses, Franz West went out onto the streets to get rid of them. He transformed his neuroses into artworks, and tirelessly distributed them. He traded them in the early days with restaurant and bar owners for food and drink; he traded his works with other artists. Franz West sold his art with gusto, whether for a pittance or for astronomical prices, like a great Zen master. West was convivial in the extreme. He craved people, he wanted people, he surrounded himself with friends, enemies, lovers, assistants, collectors, gallery owners, and welcomed anyone willing to join the caravan. Freud needed people too, an endless supply. He required patients in order to collect information for his theories and hypotheses, just as West needed human receptacles where he could place his art and ideas. Both were researchers. Sigmund Freud codified his findings into words. Franz West codified his explorations and questionings into objects. The final result was the same: a map of the human psyche and soul. FORMAT: Pbk, 8.75 x 11.5 in. / 46 pgs / 71 color / 6 b&w.